The Lagos State Government will not hold its annual holiday special teaching this year. The teaching tagged, ‘Science Vacation Course for Secondary School Students,’ is meant to boost pupils’ interest in science courses. The government in a memo to all the permanent secretaries in the six educational districts in the state blamed “security situation” and “threats by kidnappers” for the decision. It was gathered that the state government also based its decision on the fact that the six kidnapped pupils of the Lagos State Model College, Igbonla, Epe, were not yet freed. The pupils who were kidnapped around 6 am on Thursday, May 25, after the kidnappers broke into the school’s hostel. The pupils whose names are Peter Jonah, Isiaq Rahmon, Adebayo George, Judah Agbausi, Pelumi Philips and Farouq Yusuf. The kidnappers had last Sunday promised to release the children, but are yet to do so after 54 days (as of Monday) in captivity. In the memo sighted on Monday and signed by a director in the state Ministry of Education, the government also said its officials would move around the designated centres to make sure that none of them opened for the course. It read in part, “I wish to inform you that the 2017 Science Vacation Course which had earlier been scheduled to hold between July 24 and August 25, 2017, will no longer hold due to the security in the country, especially the recent threats by kidnappers. 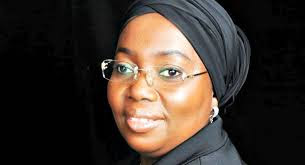 The response of the Lagos State Deputy Governor, Dr Idiat Adebule, who also supervises the education ministry, is being awaited.